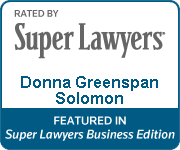 Donna Greenspan Solomon is a Florida Bar Certified Business Litigator and Appellate Specialist. Why do other attorney's hire Donna as co-counsel? Keeps a firm lean and competitive while expanding its practice areas. Donna is available to assist in all stages of litigation, including drafting of pleadings, motions, and memoranda, preparation of discovery requests and responses, document review and analysis, preparation of timelines and chronologies, taking depositions, arguing motions, and handling appeals. 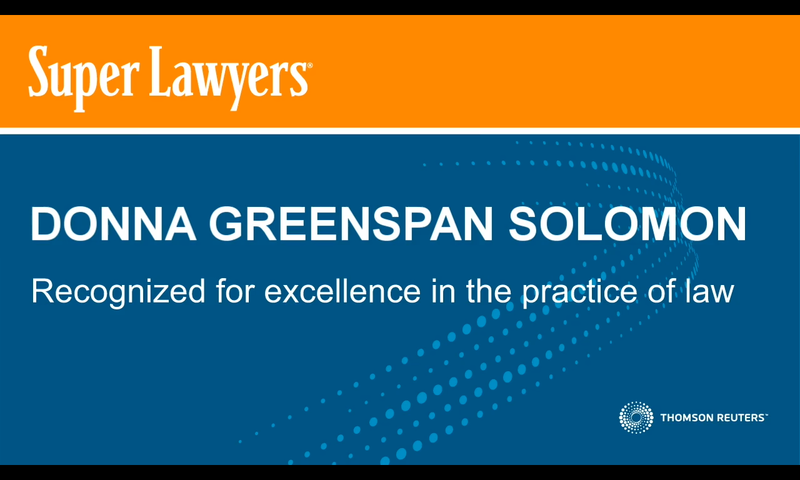 Donna was in the litigation and insurance coverage departments of a large national firm for twelve years before starting her own practice. After graduating law school at the top of her class, Donna clerked for Justice Barbara J. Pariente at Florida’s Fourth District Court of Appeal.